I love red velvet cupcakes, when they are made right. 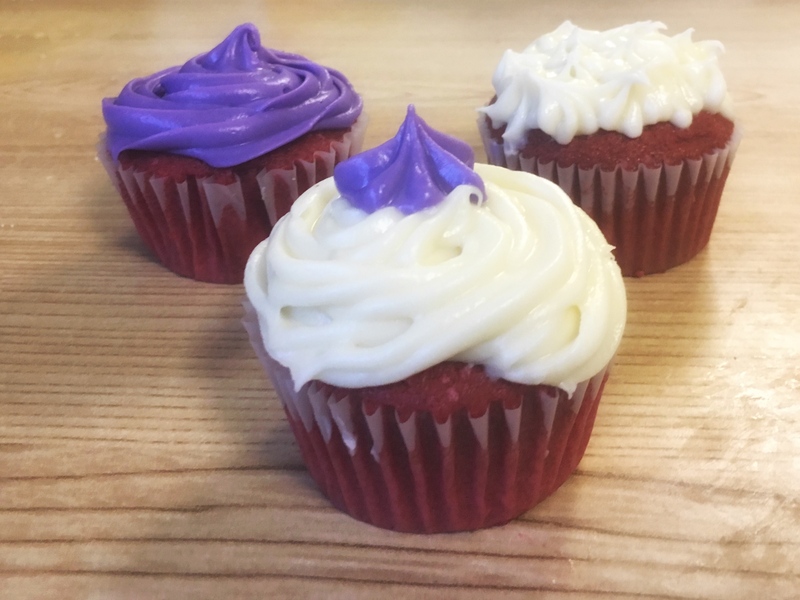 I’ve had some red velvet cupcakes with cream cheese icing that is just too sweet and you can’t taste the cream cheese flavor. Or I’ve had some red velvet cupcakes that taste exactly like chocolate cake. This recipe is the perfect balance of red velvet cake (with a very light chocolate cake) and creamy cream cheese icing. 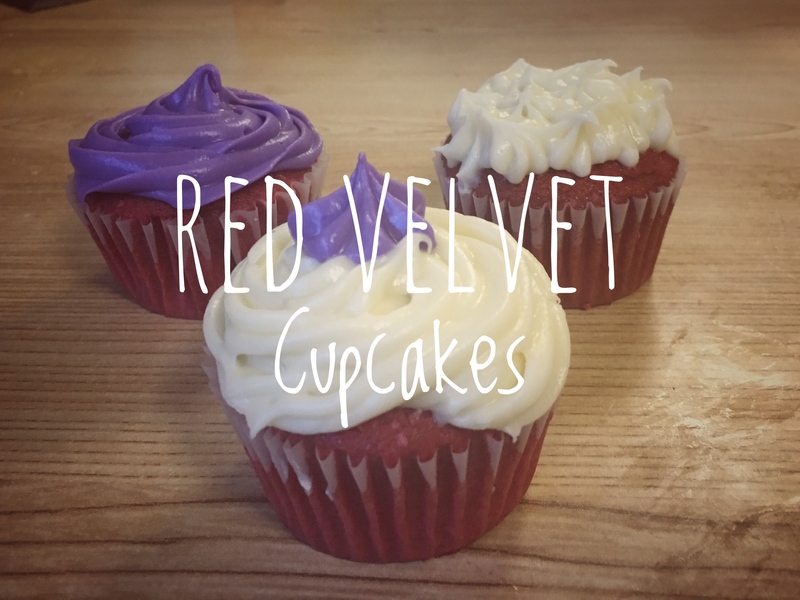 I did a lot of experimenting in the kitchen to find that amazing red velvet taste. 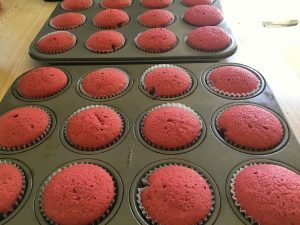 Some of my favorite red velvet cupcakes are sold at a bakery in Eagle Rock (Los Angeles) California called Auntie Em’s bakery. After tasting Auntie Em’s red velvet cupcakes, they inspired me to try and re-create their flavors with a recipe of my own. With a hand mixer or a stand mixer with the paddle attachment, mix together butter and sugar until creamy. Add in eggs, one at a time, mixing between each egg. Then add the vanilla, sour cream, buttermilk, vinegar, and mix on medium speed until combined. Add about 10 drops of red food dye. Mix and add more dye until desired color is reached. In another bowl, combine flour, cocoa powder, and baking soda. Add to mixer. Mix on medium until all ingredients are combined. Using a 1/4 scoop, place batter into cupcake holders. Bake for 18-22 minutes. Check with a toothpick to make sure they are done in the middle. Let cool before icing. Recipe for icing here. 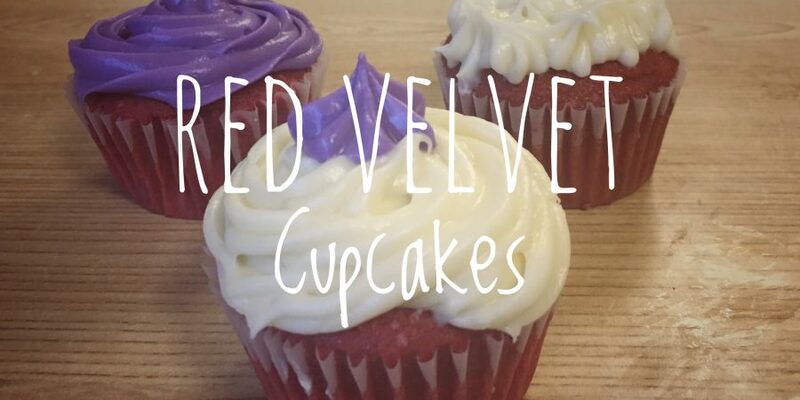 I have an amazing cream cheese icing that can be used on top of these cupcakes. Check it out here.